We have been adding quite a few updates in the studio lately. The latest round of updates has been focused on updating our analog to digital and digital to analog conversion. Simply put this is the quality at which sound gets converted to 1’s and 0’s and 1’s and 0’s get converted back in to sound. It’s not a place you want to compromise. The goal is to capture things accurately and in the most musical way possible. 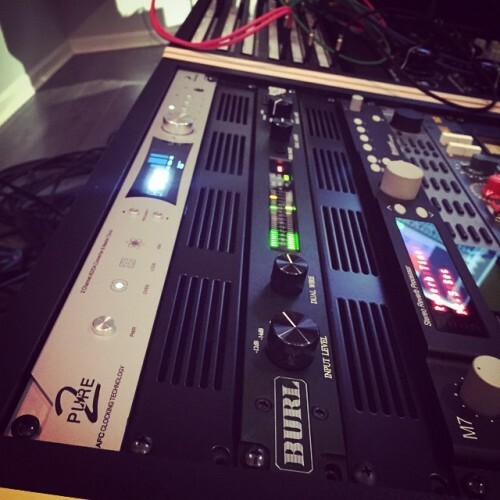 We have added Antelope Audio’s new interface the Pure 2 as well as Burl Audio’s B2 ADC. This provides us advantages in a couple of ways. We now have options for the best quality sound coming back from analog equipment during the mixing process. Probably the place it makes the most impact is for mastering. Any serious studio that focuses on mastering needs multiple converters, due to the fact that material will sometimes sound better through different sets of converters. Doing an A/B of converters is one of the first steps in setting up the mastering chain for any studio using analog gear in the mastering process. Details like this are what set our studio apart from other studios. We are the only studio in the area with multiple sets of mastering converters as well as a true analog mastering backbone. Contact us today to hear the difference.